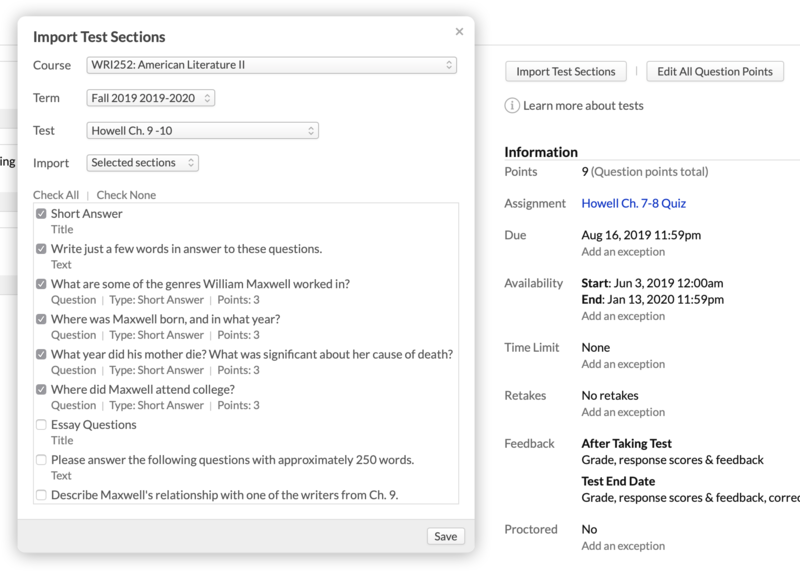 In this article, you'll learn how to import a test from a past course into the course that you're currently conducting. You can import tests from another section or term of this course, or from any other course in which you were listed as faculty. You can then edit that test—adding or editing elements or creating new questions—or leave it as-is. Keep in mind that if you've already added elements to your test, importing a test will erase and overwrite them! Choose the term/course/section with the test you'd like to import. The test elements will populate your test. If you already had anything entered in that test, it will erase those elements and over-write them with the imported elements!